For how long can the Police hold me? 4th July 2011: A Police Detention and Bail Bill is to be rushed through the House of Commons this coming Thursday and the House of Lords early next week. It will give the Police what they want. An interesting question is whether it will give them even more power? Rushed legislation is invariably ill-considered and usually leads to further problems. 5th July: The Supreme Court refused to "stay" the High Court's judgment in the Hookway case. See the Supreme Court's brief statement. A recent ruling by McCombe J has put the cat among the pigeons. The case is R (Chief Constable of Greater Manchester) v Salford Magistrates' Court and Paul Hookway  EWHC 1578. The Police and the Home Secretary are clearly highly unhappy with it - BBC 29th June 2011. To understand the facts of the case it is necessary to read the full judgment since some media reports seem to have shortened the factual sequence of events. The law is in the Police and Criminal Evidence Act 1984 sections 41 to 45. The time for which a suspect (S) can be held commences from the "relevant time." What the relevant time is will depend on section 41 but, in many cases, it is the time at which S is checked in at the Police Station following his arrest. The basic rule is that he may be held for a maximum of 24 hours from the relevant time (RT+24). Under section 42, a Police officer of Superintendent rank or above may, provided certain conditions are met, authorise detention up to relevant time + 36 hours (RT+36). "The laws of man may bind him in chains or may put him to death, but they never can make him wise, virtuous, or happy" - John Quincy Adams (1767-1848). There is no clear definition of "law." In recent times, many modern law schools have neglected the fascinating subject of "Jurisprudence" which is, broadly speaking, the theory and philosophy of law. The familiar notion of "law" escapes precise definition even though, over centuries, numerous thinkers and writers have attempted to explain it and also to describe the scope and content of law. Connected to the idea of law are other elusive concepts such as "justice", "morality", "rights" and "obligations." A post such as this cannot hope to do "justice" - (there's that word again) - to the wealth of literature which is available. A working notion will have to suffice. One such notion is - "The rules which a particular country or community recognises as regulating the actions of its members and which it may enforce by the imposition of penalties." Of course, this begs questions: what is a "country" (or State), what is a "rule", from where do "rules" come (i.e. sources of law), how is something given recognition as a rule, what "authority" is empowered to make "rules", who are the "members" of a society, what are "penalties" and how are they justified. These, and many other similar questions, would be asked of any attempt to explain what law is. Another difficult idea is that of "morality" but it can be said with confidence that law and morality are not identical. An obvious example of this is that adultery or sexual promiscuity outside of marriage are not unlawful though many consider them to be immoral. Indeed, as we have recently seen, the law will sometimes take steps to prevent publication of such activities on the basis of protecting the privacy of the individual - (Right to respect for private and family life - Article 8 of the European Convention on Human Rights). Hat tip to the Lloyd Rees Live blog which highlights a speech, in the House of Lords, by Baroness Boothroyd - a former Speaker of the House of Commons. She is scathing about the coalition plans to reform the House of Lords which Law and Lawyers looked at on 20th May when the House of Lords Reform Bill first emerged. Her speech was excellent and may be viewed at Democracy Live. marked down for destruction on such spurious grounds. Never in all my years in public life has the bicameral role of our Parliament been so wantonly put at risk by such disregard of the nation’s best interests. See the government's draft Bill together with Explanatory Notes. An alternative Bill, introduced by Lord Steele, is before the House of Lords - see House of Lords Reform Bill. The judgment in the juror contempt of court case is available - see Attorney-General v Fraill and Sewart  EWCA Crim 1570 and  EWCH 1629 (Admin). It explains how the court arrived at a sentence of 8 months imprisonment for juror Fraill but a sentence of 2 months suspended for 2 years for non-juror and acquitted defendant Sewart. The case is also interesting in that the judges sat first as a Divisional Court of the Queens Bench Division to deal with the contempt matter and then became a Court of Appeal (Criminal Division) to consider and, in the event, dismiss the appeal by Gary Knox. His appeal was considered to be "misconceived" - see paragraphs 27-51 of the judgment. The Lord Chief Justice, who had previously made a speech about jurors researching cases on the internet, was clearly determined to send out a strong message that such conduct would not be tolerated. His Lordship emphasized that the obligation of jury secrecy does not cease once the trial is over (see para 61). It is an indefinite obligation. A final point was that judges should not tell jurors that they are not to discuss the case until they retire to consider their verdict. The correct approach is for the judge to direct the jury never to discuss the case unless they are all together, and in private, and further to direct them that whatever their discussion at any stage of the case, they will obviously keep open minds and not jump to conclusions until the evidence is completed and the summing up has been given. See Crown Prosecution Service - Contempt of Court. Except for certain urgent cases, prosecutions for contempt are brought in the Queen's Bench Division of the High Court. Here is the law standing on its dignity and seeking to uphold the authority of the courts and the judges. This was said to be the correct procedure in Balogh v St Albans Crown Court  QB 73 - where the defendant had referred to the judge as a "humourless automaton" - the defendant no doubt discovered that he was right ! For other examples of contempts see "Contempt of Court: Greatest Hits." Law Society Gazette - Analysis of the legal aid and sentencing bill - 30th June. "A Shameful bill will make us all pay" - is the title of the Editorial in the printed version of the Law Society Gazette 23rd June which looks at the Legal Aid, Sentencing and Punishment of Offenders Bill. The internet version publishes it under the title "Whitehall turns a blind eye to fallout from legal aid cuts." There were over 5000 submissions to the governments' legal aid consultation and, as the Gazette points out, many of these did far more than merely register opposition. They contained "eloquent, practical and detailed explanations of the wider consequences of the cuts proposed." Kenneth Clarke has chosen to ignore these points and has taken "public policy into territory that shares a long border with malfeasance in public office." The cuts do not result from negligence or incompetence but are "deliberate and doctrinaire" and turn a wilful blind eye to the consequences of the policy, as identified in the submissions. The Gazette concludes - "This is a shameful bill." Very strong words indeed. Introduction: On 21st June, the Secretary of State for Justice and Lord Chancellor (Kenneth Clarke QC MP) introduced into Parliament his Legal Aid, Sentencing and Punishment of Offenders Bill. Along with the Bill, explanatory notes are also available. The Bill has 119 clauses and 16 Schedules. Parts 1 and 2 of the Bill deal, respectively, with Legal Aid and Litigation Funding and Costs. Part 3 - which divides into 7 Chapters - deals with Sentencing and Punishment of Offenders. Part 4 includes some "Final Provisions." There are then 16 schedules. The 7 Chapters in Part 3 are entitled: (1) Sentencing; (2) Bail; (3) remands of children otherwise than on bail; (4) Release on Licence; (5) Prisoners etc; (6) out of Court Disposals; (7) Knives and Offensive Weapons. The Bill will enact an entirely new scheme for legal aid. Present arrangements under the Access to Justice Act 1999 will be replaced. The Legal Services Commission will be abolished and administration of legal aid transferred to an executive agency within the Ministry of Justice. There is to be an official known as the Director of Legal Aid Casework who will be responsible for the decision-making about legal aid in individual cases. This will raise concerns about the executive agency's actual degree of independence from government. Ideas - which were not implemented - in the Criminal Justice Act 2003 will be repealed. These include "Custody Plus", "Intermittent Custody" (only briefly trialled) and the increase in Magistrates' Courts sentencing powers. Part 3 Chapter 6 contains amendments to the legislation under which police constables may issue a penalty notice for disorder and authorised persons may give conditional cautions. This includes the introduction of a penalty notice with an education option and provision for conditional cautions to be given without the need to refer the case to the relevant prosecutor. The amendments also allow new types of conditions to be attached to a conditional caution given to a foreign national offender without leave to enter or stay in the United Kingdom. The Chapter creates a new kind of youth caution. It also makes amendments to youth conditional cautions by making them more flexible. Part 3 Chapter 7 creates new offences relating to threatening with weapons in public and threatening with a blade or point of offensive weapon. There will be a minimum sentence of 6 months imprisonment for persons over 18 found guilty of these new offences (unless this would be unjust in all the circumstances). The background: In the region of 30,000 people hold the office of "Justice of the Peace" (JP) and deliver summary justice in the Magistrates' Courts of England and Wales. In this task they are advised on the law and procedure by legally-qualified "legal advisers." JPs, along with jurors, exemplify the extensive involvement of "non-lawyers" (or "lay" persons) in our legal system - (perhaps a long-established example of the "Big Society"). Their work is done voluntarily, for no reward and with little recognition. 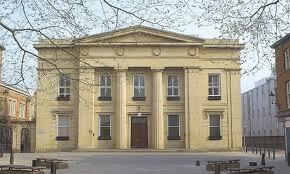 The Magistrates Association supports and represents them though membership of the association is voluntary. The origins of the office of JP extend back to medieval times when the Monarch had need of trusty people capable of dealing with offenders. At that time, such persons were naturally those with wealth (i.e. 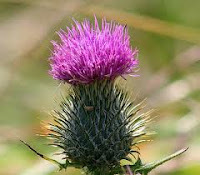 usually large landowners) and local power. It is the Justices of the Peace Act 1361 from which the present day powers of the JP can be traced. Over the centuries, the JP has been a very useful resource when Parliament has required some task or other to be performed. For instance, the administration of the licensing laws was a major function of the justices for centuries until the Licensing Act 2003 transferred it to local authorities though a right of appeal to the Magistrates' Court remains. The magistracy has proved to be extremely adaptable and the composition of a modern bench is a far cry from what it was even some 30-40 years ago. Today it will be made up of people from many backgrounds, walks of life and income levels.
" In a masterpiece of concise statement the Report commends the present system ‘because, like that of trial by jury, it gives the citizen a part to play in the administration of the law. It emphasises the fact that the principles of the common law, and even the language of statutes, ought to be (as in the case of the common law at least, they certainly are) comprehensible by any intelligent person without specialised training. Its continuance prevents the growth of a suspicion in the ordinary man’s mind that the law is a mystery which must be left to a professional caste and has little in common with justice as the layman understands it." The long and interesting history of the Magistracy was masterfully recorded by Sir Thomas Skyrme in his three volume "History of the Justices of the Peace" (1990). See also Law and Lawyers - "A Jewel Beyond Price ... the Magistracy of England and Wales" (December 2010) and also March 2011. Other parts of the United Kingdom: The system of "Lay Magistrates" in Northern Ireland is described by the Law Centre (Northern Ireland) in "An overview of the Lay Magistracy in Northern Ireland." The Justice (Northern Ireland) Act 2002 made significant changes and introduced, from 1st April 2005, the new office of "Lay Magistrate." Some of the background to this is considered in "The history of lay involvement in the administration of justice in Northern Ireland" and the article refers to the immense courage shown by JPs in recent years and to the murder in 1977 of Mr Robert Mitchell JP. In Scotland, there has been a system of JPs since 1609 and a system of "Justice of the Peace Courts" has been recently set up under the Criminal Proceedings etc (Reform)(Scotland) Act 2007. This development came about in an interesting way. The Scottish Ministers commissioned a "Summary Justice Review" and a majority of the review team recommended abolition of the office of JP. 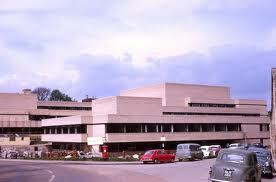 However, there was a "Note of Dissent" by Sheriff Brian Lockhart and Mrs Helen G Murray JP. The Scottish Parliament was persuaded by the dissenters and not only legislated to retain "lay justice" in Scotland but also created the Justice of the Peace Courts. The former District Courts.were abolished. It is worth noting here that the Note of Dissent remarked (at para 7) - "Lay justice is a powerful expression of community participation in the regulation of society." Appointments: JPs are appointed by the Lord Chancellor "on behalf of and in the name of Her Majesty" (Courts Act 2003 s10). The Lord Chancellor is "advised" in this matter by "Advisory Committees" which are responsible for recruitment and selection. In 2010, the Ministry of Justice issued a consultation relating to these committees. The government's response (August 2010) has been published. The committees seek people who have "six key qualities": Good character, Understanding and Communication, Social Awareness, Maturity and Sound Temperament, Sound judgment, Commitment and Reliability. “The English common law rests upon a bargain between the Law and the People. The jury box is where people come into the court; the judge watches them and the jury watches back. A jury is the place where the bargain is struck. 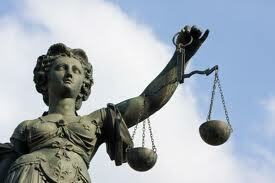 The jury attends in judgment, not only upon the accused, but also upon the justice and humanity of the law….” (E.P. Thompson - "Writing by Candlelight" - cited by Lord Justice Auld in his Criminal Courts Review report 2001). “I cannot bring myself to believe that there are any persons other than inmates of a lunatic asylum who would vote in favour of the abolition of trial by jury in serious criminal cases,” said Humphreys J in 1954 (‘Do We Need a Jury?’  Crim LR 457). "Each jury is a little parliament. The jury sense is the parliamentary sense. I cannot see the one dying and the other surviving. The first object of any tyranny in Whitehall would be to make Parliament utterly subservient to his will; and the next to overthrow or diminish trial by jury, for no tyrant could afford to leave a subject’s freedom in the hands of twelve of his countrymen. So that trial by jury is more than an instrument of justice and more than one wheel of the constitution: it is the lamp that shows that freedom lives." Lord Devlin - "Trial by Jury"
"Lay" involvement in the law: The English legal system is notable for the extensive involvement of lay persons as either Jurors or as Magistrates (Justices of the Peace). Both the Jury and the Magistracy are institutions which extend back to the early days of our law. In 2011 the Magistracy is celebrating its 650th Anniversary and the idea of a jury trying a fellow citizen for criminal offences dates back at least to the reign of Henry II - (please see "Our legal heritage - No.2 - The formative period"). These institutions are of immense importance though, it is fair to say, there are pressures on both. This post considers the JURY. 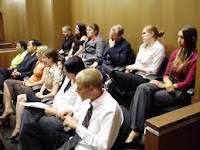 The jury: Juries are used mainly for criminal cases heard in the Crown Court though it is possible to have a jury in a limited number of civil cases and also at certain inquests in the Coroners Court. Eligibility - For criminal trials, a jury of twelve is selected from a panel of jurors summoned to hear cases. The precise reason for having twelve jurors is lost in history. Was it the old British "dozen" or the number of months in the year or the number of disciples in the Christian religion or for some other reason? The modern law relating to juries is in the Juries Act 1974 which made a number of reforms. Since 1974, further reforms have been made, most significantly by the Criminal Justice Acts of 1988 and 2003. Basically, any adult between the ages of 18 and 70 is qualified to be a juror but they must (a) be a registered elector; (b) have been ordinarily resident in the UK (or Channel Islands or Isle of Man) for any period of at least 5 years since attaining age 13 and (c) must not be disqualified. See "In brief: Free Legal Information." Since the Criminal Justice Act 2003 it has become possible for certain persons (e.g. Police Officers and Justices of the Peace) to serve who were previously regarded as ineligible. These changes came about as a result of the Criminal Courts Review conducted in 2001 by Lord Justice Auld - (the Auld Report). 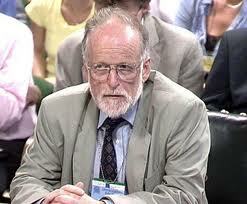 He had much to say about juries - see Chapter 5 of his report. It has been reported that Joanne Fraill, who was a juror in a high profile drugs case, will stand before the Lord Chief Justice in the High Court in proceedings brought by the Attorney-General (Dominic Grieve QC) for contempt of court. 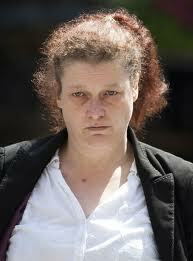 The drugs trial, at which she was a juror, was abandoned at a reported cost in the region of £6m - see Telegraph 14th June. It is alleged that she used Facebook to contact one of the defendants in the trial. She is also accused of researching the case on the internet. The relevant law is the Contempt of Court Act 1981 s.8. This section was considered by the House of Lords in Attorney-General v Scotcher  UKHL 36. "Let the judges also remember, that Solomon's throne was supported by lions on both sides: let them be lions, but yet lions under the throne; ..." (Francis Bacon' - 1561-1626 - Of Judicature ). This post considers the Judges. A further post will look at Justices of the Peace who are properly regarded as part of the overall judiciary but they are not part of the professional - legally-qualified - judiciary. 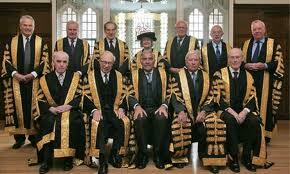 At the pinnacle of the legal world are the twelve Justices of the Supreme Court. This court came into being on 1st October 2009 and is a creation of Parliament which enacted the Constitutional Reform Act 2005. One of the justices is appointed as President of the Supreme Court - currently Lord Phillips of Worth Matravers and there is also a Deputy President - currently Lord Hope of Craighead. The biographies of the present Justices are available on the Court's website. Earlier this week, the Crown Prosecution Service (CPS) announced an investigation into the alleged suppression of evidence in the Ratcliffe-on-Soar protesters case - see The Guardian 7th June. This was to be an internal inquiry conducted by a senior Crown Prosecutor. 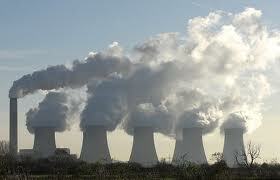 On 16th January 2011, Law and Lawyers looked at this matter in "Climate Change Protesters - No. 3 - I was just wondering ..." Earlier posts on the Ratcliffe-on-Soar case(s) were 8th January and 10th January. The Independent Police Complaints Commission (IPCC) commenced their investigation into this in January. The announcement from the CPS seems somewhat belated and a purely internal inquiry was most unlikely to satisfy public concern. It now seems that the inquiry is being "beefed up" since it will be led by a "senior legal figure" - The Guardian 9th June. The Director of Public Prosecutions (DPP) issued a statement on 9th June. 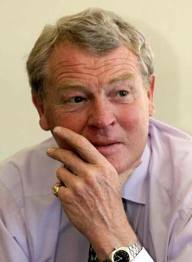 Notable legal figures have expressed the view that the Criminal Cases Review Commission is no longer "fit for purpose" - The Guardian 6th June 2011 "Miscarriages of Justice are slipping off the public radar." 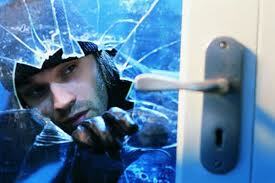 Burglary causes considerable fear especially where the home is occupied. Suppose that a burglar is confronted by the house owner. Unknown to the burglar, the owner (an elderly lady) has a medical condition involving weakened blood vessels which could rupture under stress. Some hours later, the owner collapses, is taken to hospital and dies. Could the burglar be liable for manslaughter? Those are the outline facts of a recent case in which a manslaughter charge was dismissed by the trial judge on the basis that the judge considered that the death could not be linked to the burglary. The Guardian 8th June and Telegraph 26th May. The 18 year old burglar received a sentence of 27 months for burglary. He had boasted on Facebook that he would only receive a 6 month sentence. Clearly he had not read the Lord Chief Justice's words in R v Saw and others  EWCA Crim 1. It appears that there was some medical opinion to the effect that the victim's stroke was brought on by the experience of the burglary. It was a bold move by the Crown Prosecution Service to bring a charge of manslaughter since such cases raise some legal difficulties. 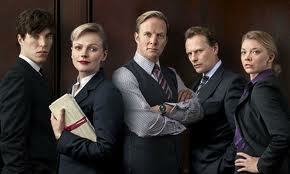 The recent six episode TV series "SILK" (starring Maxine Peake as barrister Martha Costello) was packed with courtroom drama. Courts and tribunals are the places where the legal system decides the outcome of disputes and the range of possible disputes is enormous. Examples include courts with international authority (or jurisdiction) ruling on questions of law with international impact to national courts determining disputes between either government (whether central or local) and "persons" or simply disputes between "persons." Then there are criminal courts before which "persons" are prosecuted for alleged breaches of the criminal law. In all of these situations, the court administers justice "according to law." The use of the word "persons" may seem odd to the reader but, in law, it includes not just individuals but also certain types of organisation which have been given "legal personality" by the law. A simple example of this is the Limited Company - e.g. Fred Jones Ltd. "Fred Jones Ltd" may be a party to a case in its own right. Cases before the courts are often classed as either Civil cases or as Criminal Cases. A typical civil case is where person A alleges that B has breached a contract - (that is a legally enforceable agreement) - and that A has suffered loss as a result. Another example is where C claims that D has done some work negligently and this has caused him damage such as personal injury. The person bringing the claim in a civil case is known as "the claimant" and the other party is the "defendant." Criminal cases are normally "prosecuted" by the State and the person on trial for the alleged breach of the criminal law is "the defendant." International Courts - It is worth mentioning certain courts with international authority. The United Nations Charter created the "International Court of Justice" which sits at The Hague. Basically, this deals with disputes between States. The European Court of Human Rights is frequently in the news and is the final judicial authority on the interpretation of the European Convention on Human Rights. This important court sits at Strasbourg and operates under the Council of Europe. The Convention basically requires governments to protect certain crucial rights such as the right to life, the right to a fair trial etc. There is a great deal of confusion between the Council of Europe and the European Union. They are distinct international organisations. The Council of Europe has 47 members whereas the European Union has 27 members. The Court of Justice of the European Union sits at Luxembourg and is the final judicial authority on the law of the European Union. The rights of this court are based on the various Treaties (i.e. agreements between States) which set up the European Union. A forum was held at The Law Society in London on 19th May. It was very well-attended and discussed the role and the future of legal "blogging." Some eminent speakers took part such as Joshua Rozenberg. One of the points raised was the need for the law to be explained to as wide an audience as possible. In that spirit, this is the first of a short series of posts aimed at explaining some aspects of our legal system and law. The post is, of necessity, an overview. For those who wish to dig deeper, the various "links" should assist. So, where to begin? When the law is mentioned in general conversation, people will think of "lawyers" and "courts." So let's start with "lawyers" or "the legal profession." In modern times there are three main branches within the legal profession: barristers, solicitors and legal executives. However, there are legal personnel working in other areas - e.g. Licensed Conveyancers, Costs Lawyers, Patent Attorneys. etc. Regulation of the legal profession as a whole is overseen by the Legal Services Board and under the Legal Services Act 2007 major changes are occurring with the provision of legal services - e.g. Alternative Business Structures. The 2007 Act will shift the profession a very long way from the traditional arrangements for delivery of legal services to the consumer. Barristers are those “Called to the Bar” by one of the “Inns of Court.” These are the Honourable Societies of Lincoln’s Inn , Inner Temple , Middle Temple and Gray’s Inn . The Inns are very ancient unincorporated bodies which, for over 500 years, have had the right to "call to the bar" those qualified. Each of the Inns is governed by eminent members known as “Benchers.” Interestingly, whilst the vast majority of Benchers are barristers or judges, it is possible for other distinguished persons to be invited to become Honorary Benchers. Parliament has been in recess and resumes business on 6th June. The Supreme Court and the Senior Courts of England and Wales will commence the Trinity Law Term on 7th June - (for an interesting explanation of Law Terms see the Calculator). The week has therefore been a little quieter than is often the case. In each week, there are notable events and stories which catch our eye. Here is my choice for this past week. 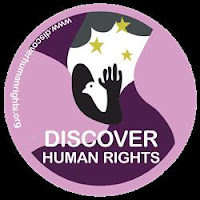 A good website - I have no hesitation in linking the reader to "Discover Human Rights." Here is a website which is a must for anyone who wishes to know more about human rights. The site is based in the USA but contains resources of immense value to every interested person and excellent resources for those in education. Please take a look and browse around. A "you can stay" solution has been adopted so that thousands of "asylum seekers" have been granted a permanent stay in the U.K. This situation, described by The Times 2nd June as a debacle, is revealed in a report by the House of Commons Home Affairs Select Committee - see "UK Border Agency failing to control immigration, says MPs" and see Home Affairs Select Committee 9th Report - "Work of the UK Border Agency - November 2010 to March 2011." The Immigration Minister (Mr Damian Green MP) denied that the agency had operated an amnesty, adding that asylum seekers who had been in the country for a long time had to be given the right to stay." Even the Select Committee report acknowledges that the longer a case is left uncompleted, the more likely it is that the applicant will have married or had children born in the UK, leading to a greater probability that settlement will be allowed for family reasons" - (see the Committee Report section on Legacy Cases - as they are called ). The UK Human Rights blog also looked at this report - "Effective "amnesty" in UK asylum system, says report." An urgent review is to be conducted into the "inhumane" abuse of people with "learning difficulties" at a residential hospital and why it was not picked up by the Care Quality Commission. This arises from a Panorama investigation showing staff punching and taunting vulnerable adults at Winterbourne View, Bristol (owned by Castlebeck). Four members of staff were arrested and, it is understood, are now on bail. A statement from the Care Quality Commission is available. Stephen Dorrell MP, chairman of the Commons Health Committee, said that a scheduled hearing with the CQC will now focus on the organisation's failings in this case. Lord Brian Rix writing in The Times (2nd June) said - "As a civilised country, we pride ourselves on the care and support we offer to vulnerable members of our society. That abuse of this kind still exists is a damning indictment of how some people with a learning difficulty are treated, even where they should be afforded the most protection." Lord Rix is President of Mencap. There are considerable legal difficulties in relation to the whole area of "care homes" for the elderly and the vulnerable. The UK Human Rights Blog has an excellent article looking at some of these difficulties - "Panorama at Winterbourne Park ..."
The powers of the Commission stem from the Health and Social Care Act 2008 The Commission enjoys considerable powers relating to registration of service providers and to inspection and enforcement. A year has passed since the terrible events in Cumbria on 2nd June 2010 when Derrick Bird killed 12 people. They are being remembered at services in West Cumbria - BBC 2nd June. At the time it was, rightly, urged that there should be no knee-jerk reaction by rushing to amend the law. What has happened since? In December 2010, the House of Commons Home Affairs Committee issued a report - here. The Inquests into the deaths returned verdicts of unlawful killing and the Coroner made 3 recommendations. There are also two reports by Assistant Chief Constable Adrian Whiting of the Dorset Police - Part 1 and Part 2. "Devolution of legislative power" to Scotland came with the Scotland Act 1998 which created the Scottish Parliament and the Scottish Executive. The Scottish Law Officers - the Lord Advocate and the Solicitor-General for Scotland - are members of the Scottish Executive (s.44). Schedule 6 of the Scotland Act 1998 deals with "devolution issues." This Schedule defines the term "devolution issue" which includes questions as to whether a "purported or proposed exercise of a function by a member of the Scottish Executive is, or would be, incompatible with any of the" rights under the European Convention on Human Rights or with Community Law. The Schedule creates special procedures applying if a devolution issue arises in legal proceedings. The High Court of Justiciary is the usual final appeal in Scottish criminal cases and, normally, such cases cannot be appealed to the Supreme Court of the United Kingdom (a fact which appears to make the term Supreme Court something of a misnomer). However, under the devolution issue provisions, a criminal case can reach the Supreme Court. This has arisen on two occasions since the Supreme Court came into being in October 2009.